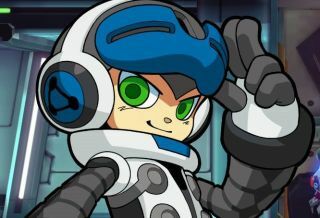 Keiji Inafune's Mighty No. 9, which drew in more than $3.8 million on Kickstarter in 2013, has reportedly been delayed. The game was originally expected this spring but in April got pushed back to September 15. Now Game Informer says it won't actually be out until sometime in 2016. The Mighty No. 9 release date on Gamestop and Amazon is now listed as 12/31/2016. That's obviously a placeholder, but according to the report, those dates are dropped in when a game is announced or delayed, and more to the point, they originate from the publisher. The obvious implication is that, even if Deep Silver hasn't officially announced it, if it's the source of the new date, then we've got a wait ahead of us. It's possible that only the console versions have been delayed, since Steam still lists the launch date as September 15. It's also possible that the Gamestop and Amazon listings are incorrect, and that there will be no delay at all. But a postponement doesn't seem entirely unlikely: Backer response to Mighty No. 9, including an opening stage speedrun posted yesterday, hasn't been entirely positive, and developer Comcept is struggling with Red Ash, another Mega Man-inspired project, which was awkwardly "re-purposed" for stretch goals after an external publishing partner was found just a few days prior to the end of the (inevitably failed) Kickstarter. The one project doesn't necessarily have anything to do with the other, but it does hint at not-entirely-smooth sailing at the studio. We've reached out to Deep Silver and Comcept for confirmation of the delay and will update if and when we receive a reply.